Last week we learned about the terrifying Krampus. 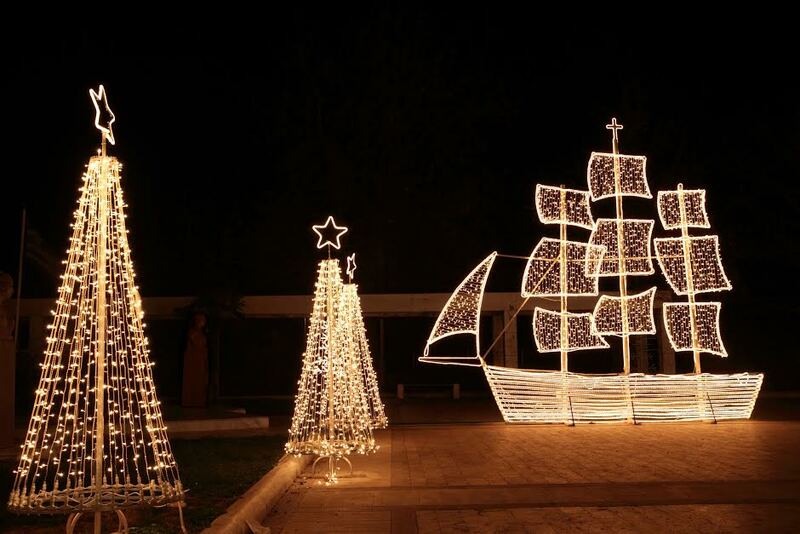 This week we will be taking a look at how Greeks celebrate the Christmas holidays! In Greece, St. Nicholas is the patron saint of sailors. 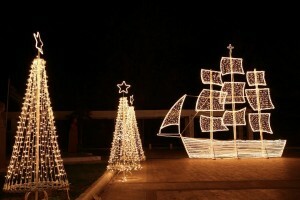 In Thessaloniki, Greece’s second largest city, the main square is decorated with a huge Christmas tree and a three masted sailboat. The holidays in Greece last from December 25 to January 6, the Epiphany including January 1, Saint Basil’s Day. Killantzaroi, or little goblins, are said to emerge from the middle of the earth and wreck havoc in households. They are thought to gain access to the houses by sneaking through chimneys. Killantzaroi only appear in the 12 days between Christmas and the Epiphany. They are said to sour milk, extinguish the fire in hearths, and braid horses tails. In order to ward off these little goblins, households keep fired burning for the 12 days straight. Greeks celebrate 40 days of fasting. They go to midnight mass on Christmas Eve and on Christmas they have a Christmas feast with family and friends, marking the end of their fasting. Traditional foods at the feast include lamb and pork. Christopsomo is a table decoration that is sweet bread that is decorated according to each family’s profession. For example, if your family fishes, there will be fish. In addition to receiving presents on Christmas Day, Greek’s also receive presents from Aghios Vassilis or Saint Basil on January 1st, also known as Saint Basil’s Day. The Epiphany or ‘Blessing of the waters’ is celebrated by diving into lakes and rivers, blessing boats, dancing, and feasting. Καλά Χριστούγεννα or Kala Christougenna! This entry was posted on Thursday, December 12th, 2013	at 1:10 pm	. You can follow any responses to this entry through the RSS 2.0	feed. Both comments and pings are currently closed.